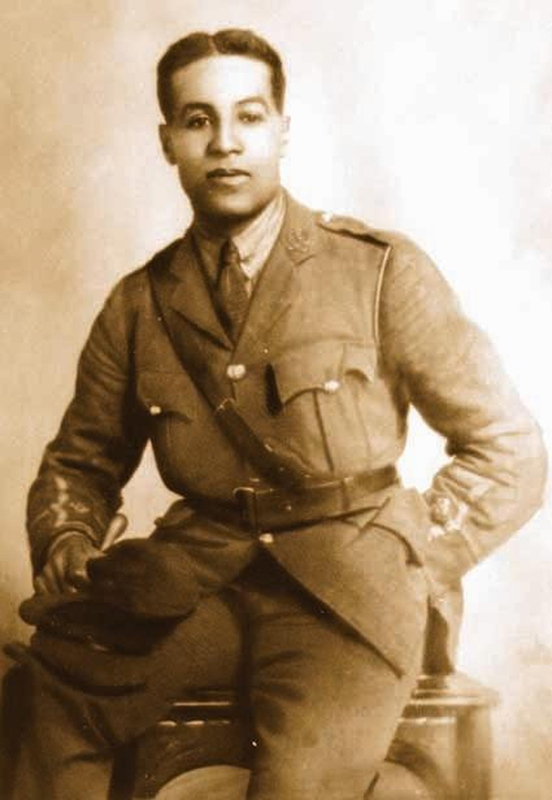 Lieutenant Walter Tull was the first British-born black army officer and the first black officer to lead white British troops into battle.He fought on the Somme in 1916 and became the first black combat officer in the British army, despite a military rule excluding “negroes” from exercising actual command. 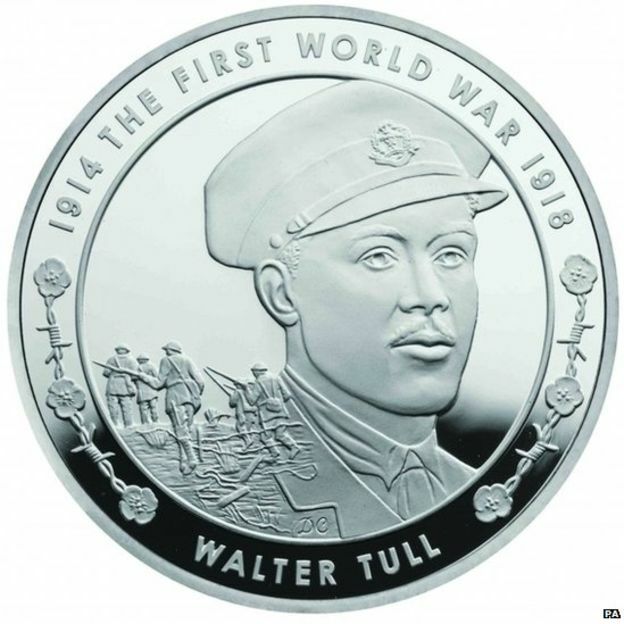 Walter Tull commemorative coin, features his portrait of the officer with a backdrop of infantry soldiers going “over the top”, one of a set of six £5 coins to remember the sacrifice made by so many during the war.The coin makes part of the commemorations of the centenary of WWI. Walter Tull was a professional footballer, his playes for Clapton, First Division side Tottenham Hotspur and for Northampton Town. Established as one of the club’s best players. Tull would score nine goals in 110 games playing at half-back, earning considerable praise for his dynamic displays. Welcome to WalterTull.org here you will find photos, videos, information about Walter Tull. The website aims to inform, help generations recognise a true hero and be inspired by his story. “Walter Tull is a true British hero who overcame prejudices of the time to exceed in his sporting career and his army life. He for me sums up everything that makes me so proud to be British"
The story serves as an inspiration to all but especially Britain's black, Asian and minority ethnic population. Black heroes and stories of how minorities contributed to the Britsih way of life were written out of our history books. This has resulted in a lack of role models for all of us to appreciate. It's time to right some of those wrongs and move forward with positive role models from all communities. There is a mini Scheme of Work (SoW) which is ideal for teaching about Walter Tull it can be used to build up for a Citizenship assessment or on its own. It focuses on Walter Tull, Britain’s first ever black professional outfield football player and army officer. It grabs the interest of all the group but particularly boys.